Home Apple Inc. Bridge, Mixed Reality Headsets: Setting the Tone for Apple’s VR Push? Bridge, Mixed Reality Headsets: Setting the Tone for Apple’s VR Push? In early December 2016, we did a story on Bridge, a new augmented reality product from Occipital. It was the first product to try and fill the deep VR chasm that Apple’s iOS users find themselves in, and brought in mixed reality – the augmented reality that uses virtual elements rendered on a real-world backdrop – to iPhone 6, 6s, 7 and 7 Plus users. The original Bridge Explorer Edition retailed in December for $499. That edition is now sold out, but you can still get the Bridge experience for iOS devices with the more mainstream Bridge. Bridge is priced at $399 with the Structure Sensor and $279 without. The sensor is an accessory to the main Bridge Headset, and came bundled in the Explorer Edition of Bridge. In the Bridge, it’s extra. But even without the Structure Sensor, you can use your iPhone with the headset by slotting it in. The only difference is that you’ll be restricted to pure virtual mode without the sensors. 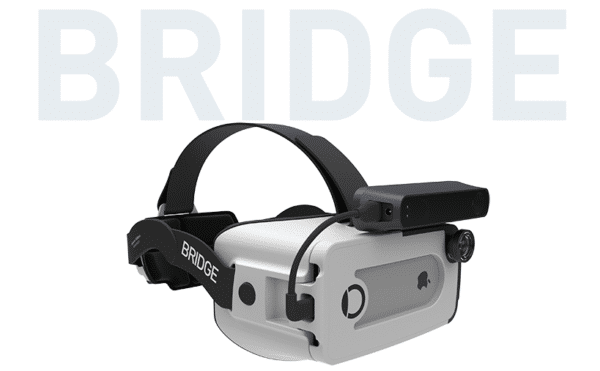 Occipital, the company behind Bridge, has stuck to its committed shipment timeline for the Bridge, and the product is now ready to pre-order, shipping this month. What about Apple’s AR Efforts? Apple’s entry into augmented reality is a much-talked-about topic. While there’s evidence to suggest that there are hundreds of Apple employees working feverishly towards an AR future, there’s little else. Tim Cook’s position as CEO naturally binds him to say positive things about the future of Apple’s desktops, how well Apple Watch sales are going, how they’re serious about augmented reality and so on. But the acid test, of course, is their actual output. At this point we don’t know Apple’s specific plans for AR other than the fact that there’s definitely an AR headset in the pipeline for sometime in 2017 – the middle of 2017, in fact, according to VR/AR promoter Robert Scoble. If Occipital can stay in the mixed reality hardware game for the long run, it could pioneer a path for Apple itself to follow. The smaller company might not have the design, R&D, manufacturing or marketing muscle that Apple can bring to the game, but it’s got first mover advantage, and it’s already got a group of early users using its flagship product. That’s a whole lot more than Apple has at the moment.